PLEASE PHONE TFC BEFORE FLYING IN DURING THE WEEK !!!! 30 minute "INTRODUCTION FLIGHT" - 3,000 Baht weekends. 25 FEB 2018 -- PARTY AT THAI FLYING CLUB -- Lek and Nuni are sponsoring a party at TFC this coming Sunday at 5:30pm. The club will be on the grass next to the TFC Clubhouse. Everyone is welcome. 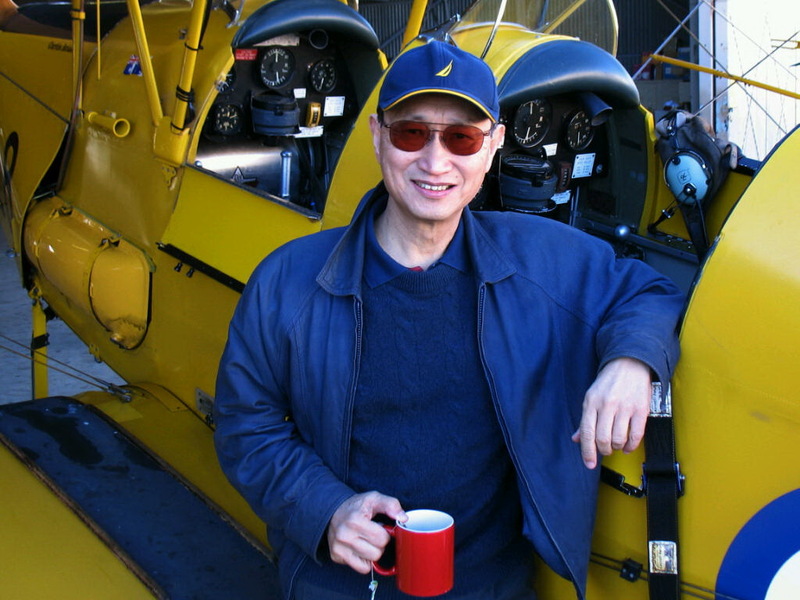 Exciting news will be presented at the party, because Nuni is now working on opening the TFC Flying School again. The Flying School has been closed for 3.5 years while the club was trying to repair some of the planes. There are over 30 people who have expressed interest in learning to fly, so we will be contacting them with updates on the process. The exciting news is that the club will hopefully be working with the University and supporting their AIT (Aviation Institute Technology), so that we work together and share our knowledge and experience in aviation. Come to the party. 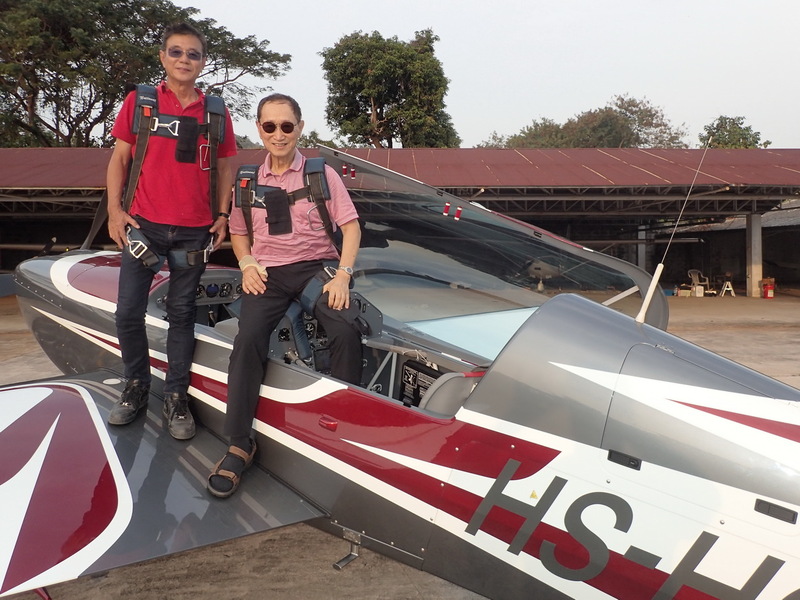 FEB 2018 -- KHUN CHAROEN & KHUN CHARN IN THE EXTRA -- The action was all above over the weekend in early February as Khun Charn took his outstanding Extra through its paces over the skies of Thai Flying Club. 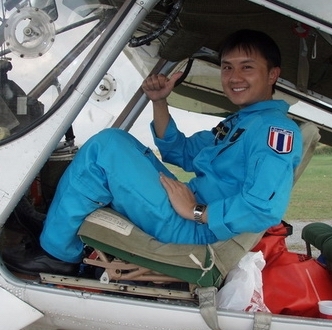 Up in front was none other than Khun Charoen, one of the most enthusiastic aviators you can find in Thailand. 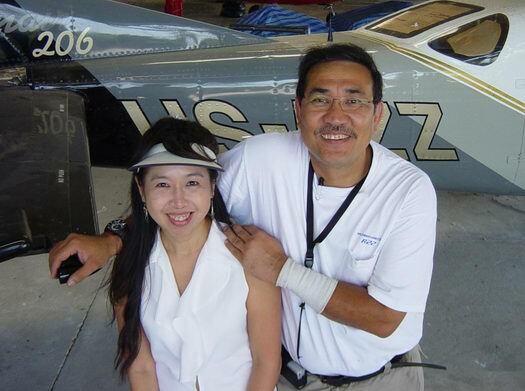 Khun Charn and Charoen are some of the most senior members of the Thai Flying Club, and Charn is famous for his love of aerobatics. If you ever want to witness an Extra in Action, call the club and find out if Khun Charn will be flying on a Saturday or Sunday late afternoon, and you will be in for a treat. FEB 2018 -- NEW C150 NOW ON TFC FLEET -- The very good news is that TFC has accepted Turbo san's beautiful C150 onto the club fleet. After many years of paperwork and pausing, the plane is now on the roster and ready to fly. This aircraft will be for cross-country use and for FAA IPC and BFR checks. FAA pilots all over Asia will be able to come and fly our FAA CFI members to keep current with their BFR and Instrument Currency according to FAA FAR "14 CFR § 61.57(d)—Instrument Proficiency Check." This also means that we can get our Thai instructor training for his CFI in the USA to come and reopen the TFC Groundschool and Flying School which have been closed since June 2014. Turbo san bought this C150 in beautifully restored condition from Jeff Nash in Udon. 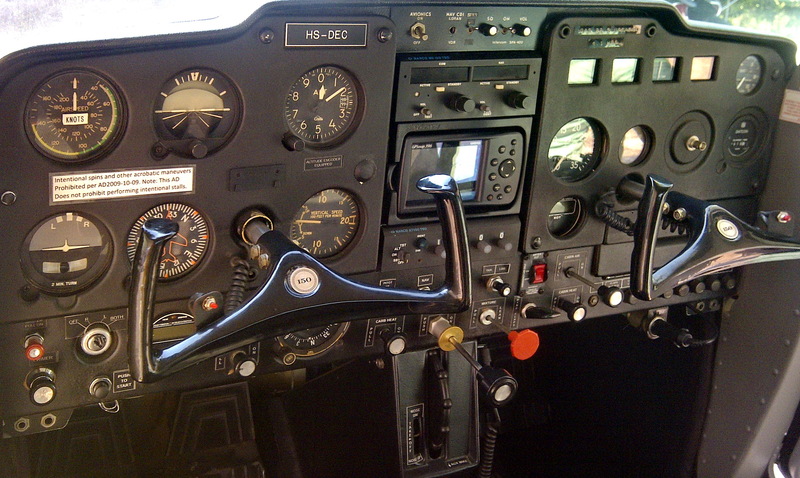 It has a working VOR and Garmin GPS for use as an ADF. There is a beautiful intercom and radios are 100%. This plane will not be for training touch and go's, but is perfect for cross-country. It will be 700 Baht more expensive that the other C150 and all pilots must be prior approved by the club and Turbo san. 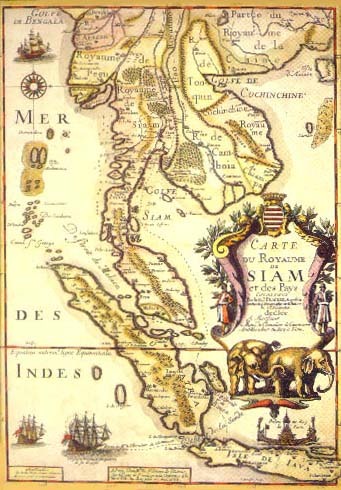 The idea was proposed on 10 Jun and accepted on 31 Jul by Captain Worawoot. SEP 2017 -- NEW AIRPORT IN THAILAND AT KLONG 11 -- A beautiful new airport has appeared in Thailand. This one is for a new flying school. We will be updating you shortly with Steve and Mac's discovery. 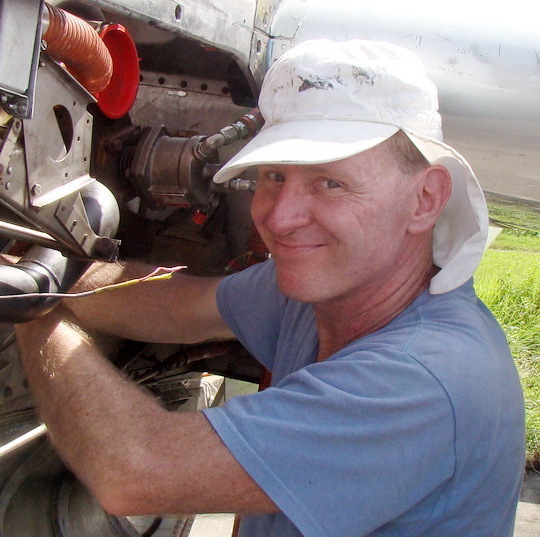 SEP 2016 -- HISTORIC "FLYING THE HUMP" C47 FLIGHT UPDATE -- The C47 had an engine failure 1hr 30min out of Bali. The left engine started to smoke, then vibration, then fire. The crew diverted to Surabaya, Indonesia and made a successful emergency landing. Thank you to the support of many TFC members and Thai Aviators, a replacement engine has been purchased and will be on the way to Surabaya this month. As soon as the engine is installed, the trip will continue. 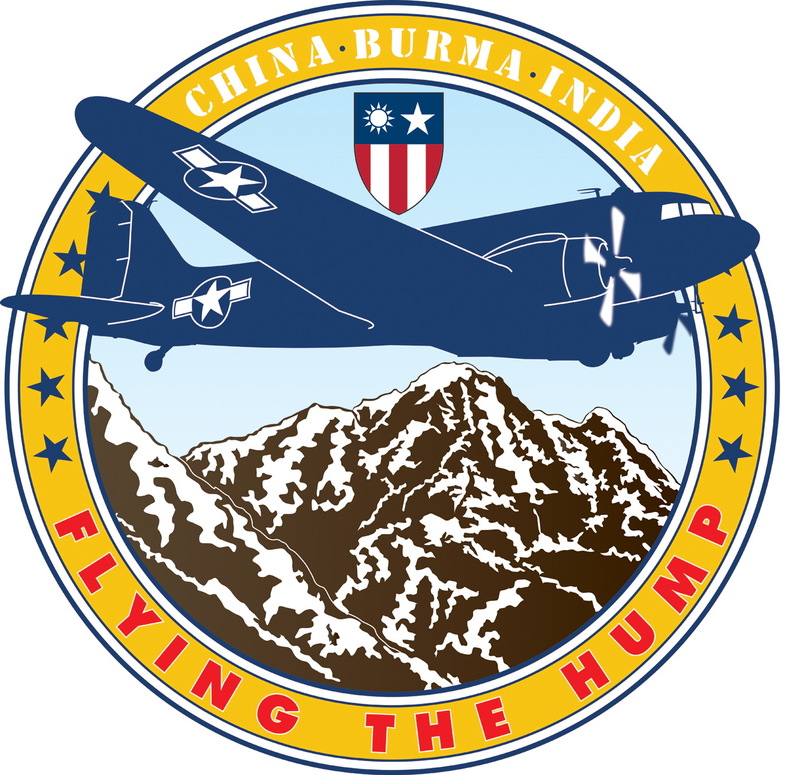 The C47 took off from Australia on 16 August to pass through Thailand on its way to Burma, then "Over the Hump" across the Himalayas into China. 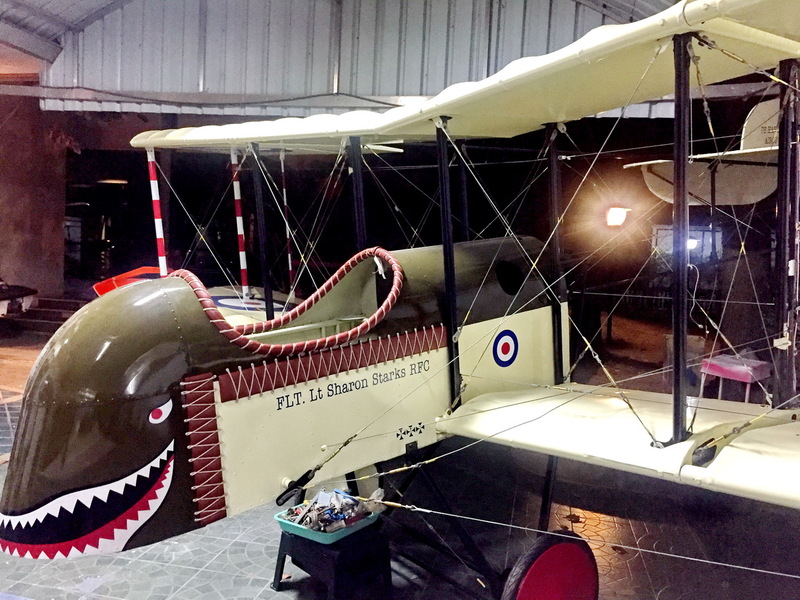 The aircraft will be on permanent display at the Flying Tiger Museum in Guilin, China. 600 allied aircraft were lost on this hazardous journey during WWII to supply the Flying Tigers inside of China. A veteran crew of aviators will guide the craft from Australia. The journey can be followed on -- www.flyingthehump.com -- TFC instructor Kruu Jira has over 6,000 hours on DC-3s in Thailand, so he will be flying down with Turbo san to meet the C47 during its stop at U-Taphao to refuel. ETA U-Taphao in late September or early October. We have to pump 10 drums of avgas into the wings on the ground U-Taphao, so we call all our TFC friends to fly down with Turbo and Kruu Jira to help us pump and take photos with the C47. DEC 2017 -- TFC FLYING SCHOOL STATUS -- Exactly THREE and a HALF years ago this month, The TFC Office Staff decided not to buy a used C150 (HS-LAX) to keep the flying school open. They decided to repair the 3 club aircraft, and mechanic Num was very confident about the TFC Fleet. He said that on NOV 2014 (after 5 months) the 3 aircraft would be back in the air. The TFC Groundschool and flying school has been closed for three and a half years. The DCA (now changed name to CAAT) has inspected the aircraft and wrote out a squawk list of snags that need to be addressed before the aircraft can fly. In June 2014, the club had decided not to buy the C150 (HS-LAX) that would have been on the TFC fleet status in 3 months and available for flight training. As soon as we hear some progress on the flight training, we will let you know. 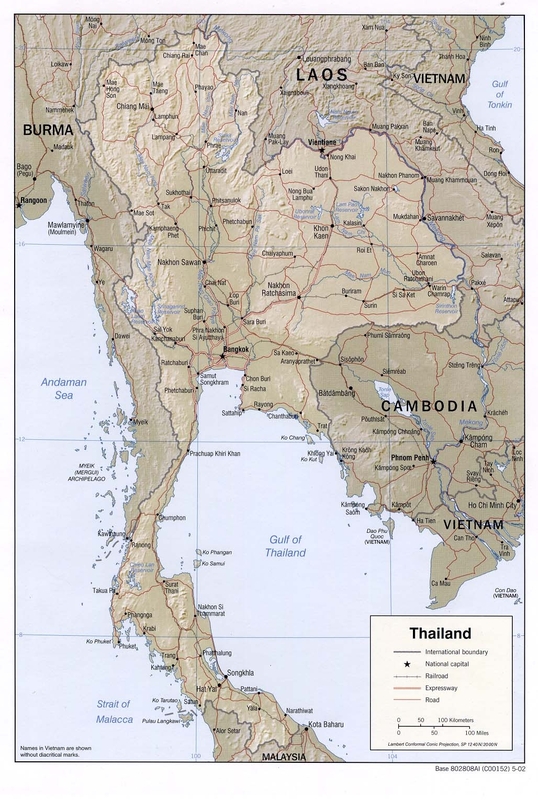 SEP 2015 -- TFC "MINI MAPS" NOW AVAILABE -- It is very difficult to find aviation maps in Thailand, so now at TFC and EAA HQ we have for sale the TFC MINI MAPS. 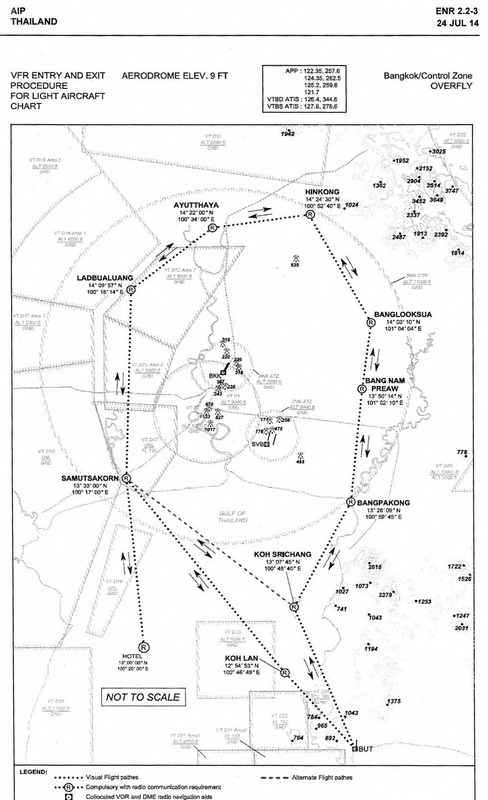 These are A4 size or double A4 size laminated maps to scale with all the current radio frequencies, airports, controlled airspace and other information for you to easily navigate around the area. If you are interested in a TFC Mini Map, you can find at the AERO SHOP in Bangkok or in the TFC club office or at Eastern EAA HQ airport. SEP 2014 -- HI-TECH WEATHER REPORTING FOR SMALL AIRPORTS IN THAILAND -- Enthusiastic aviator Ed has informed us that now NOK airfield and PHUKET AIRPARK have live WEATHERLINK updates online and ready to view immediately. We also hear that Jim is obtaining the same system to install at EASTERN airfield. This is amazing technology and a great safety feature for General Aviation in Thailand. You can click the link and see current WIND, RAIN, TEMP information as well as other helpful information for flying, and it is updated every 30 seconds 24 hours a day. Have a look and get as many other airfields to set this system up too. 1. ONKARAK reporting point is not cancelled, because BAC has moved to Klong 15 and there is a lot of traffic there now. 3. Click on the left is a map to see updated REPORTING POINTS. 4. If flying from VTBT to VTBD -- Route via Bang Pakong -- Bang Nam Pieow -- Lang Luk Ga -- Dct. 7. Skydiving squawk 2000 only. Please use other transponder codes. 8. Skydiving window up to FL 130 -- 11-12 local // 13-14 local // 15-16 local. ACF-50 NOW AT TFC -- The best way in the world to protect your plane from corrosion in Thailand is to spray exposed metal with ACF-50. We now have ACF-50 available in the club in spray bottles for 1,500 Baht per bottle (ask Tui in the office or email info@thaiflyingclub.com). Do not ignore corrosion -- it will kill your airplane -- more info on ACF-50. 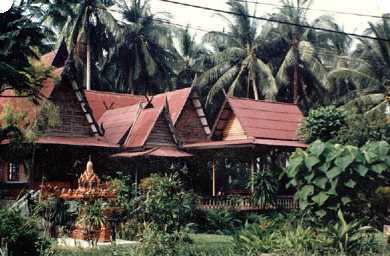 The Thai Flying Club is located at Bang Phra Airfield (VTBT) about 3 Kilometers East of the small village of Bang Phra. 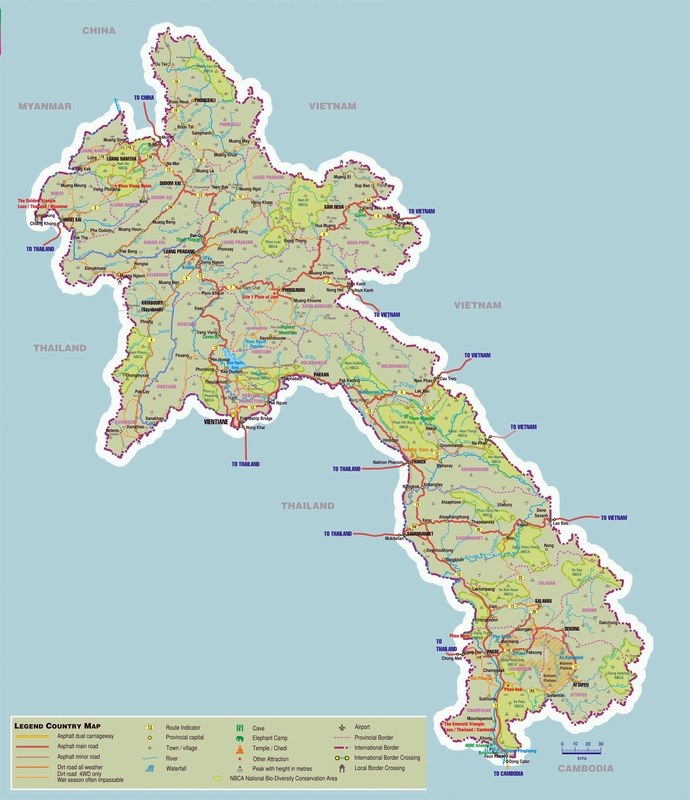 We are about a 90 minute drive Southeast of Bangkok or a 45 minute drive North of Pattaya. If you are coming from Bangkok, you can take a taxi to Sriracha (about 8 km North of Sriracha) to the Bang Phra Golf Club. We are right near the Golf Club and they can direct you. You can also come by Bus: Go to Ekkamai Skytrain Station. Walk to Ekkamai Bus Station. There are buses leaving from Ekkamai Bus Station (in Bangkok) every 30 minutes. Take the bus to SRIRACHA. Ask to get off in BANG PHRA (about 8km North of Sriracha). 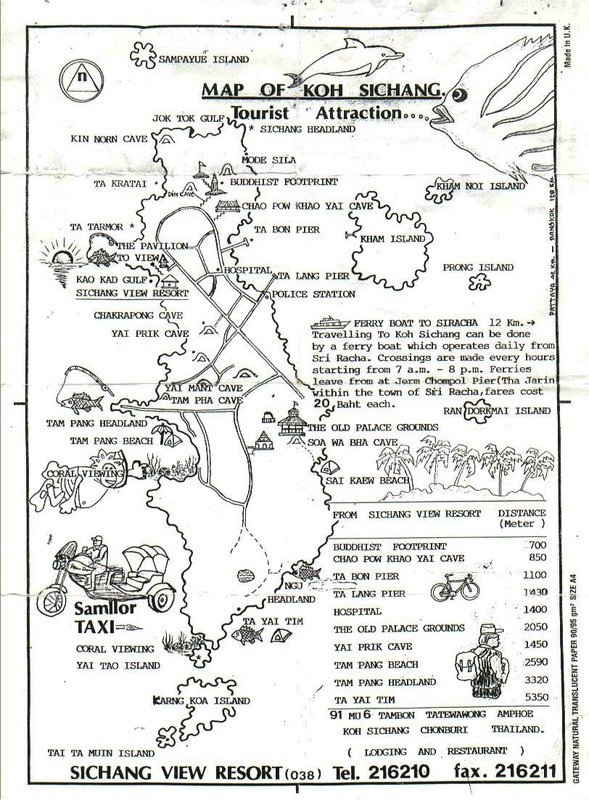 Near the 7-Eleven shop, you will find many Motorcycle Taxis or Tuk-Tuk Taxis. Ask them to take you to "Snambin Bang Phra" (Bang Phra Airport). 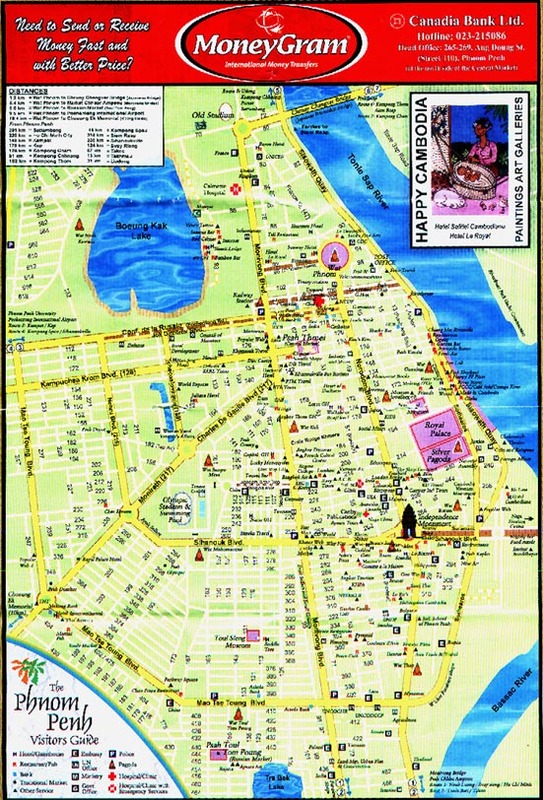 The airport is located on University Campus "Kasetsart Bang Phra" near Bang Phra Golf Club. You enter the University and turn right at the clock tower. Stay left, and you will come to the runway. You will see the clubhouse across the runway. Use the Googlemap because finding Thai Flying Club is not easy. Enjoy the adventure. The Thai Flying Club is open five days a week. Wednesday thru Sunday: 09:00-17:00 hrs. These hours are "local time" (Thailand local time is GMT + 7hours). 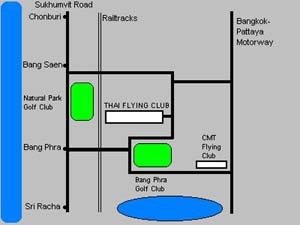 A detailed road map shows directions how to find the club if you are traveling by road from Bangkok or Pattaya. 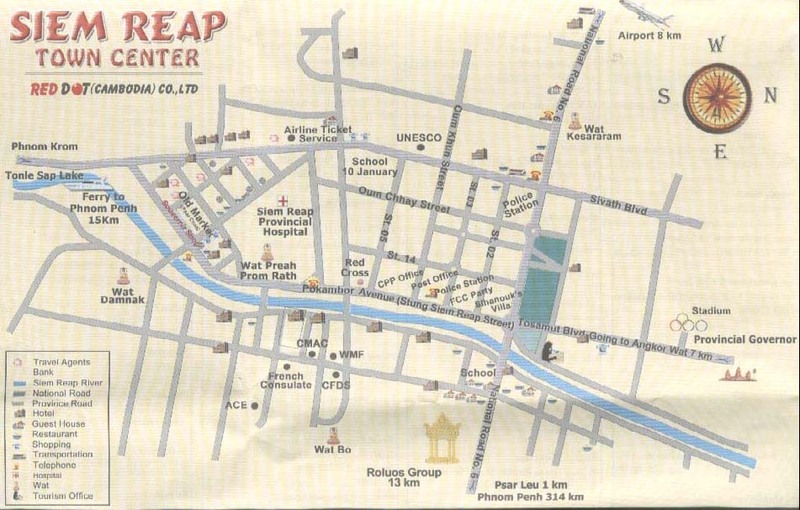 Bang Phra is about 8 Kilometers North of Sri Racha on Sukhumvit Road. 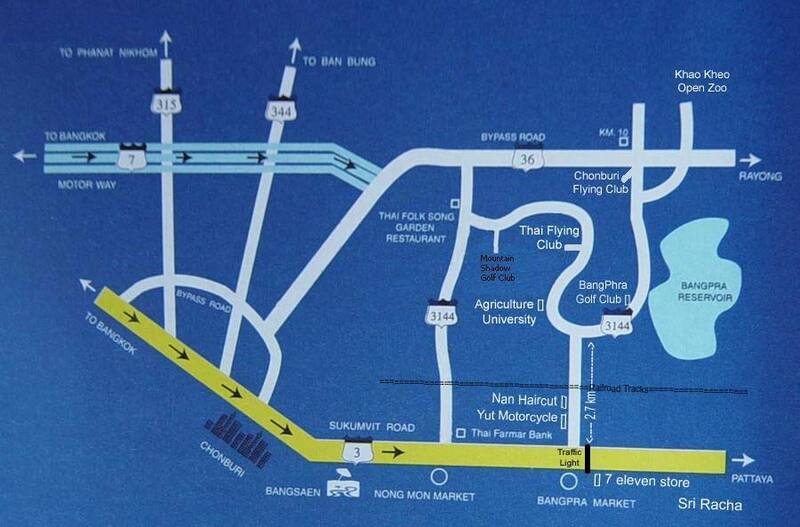 Please note that you can use Sukhumvit Road or the Motorway to reach the club. There are several Golf Courses near the club. The club can be opened Monday, Tuesday and on Holidays for landing and departing aircraft (cost 500 Baht fee for Num - Call 0894088198). The US$ to Thai Baht conversion rate is approximately US$ 1 = somewhere around 30 Thai Baht. Check current exchange rate for Thai Baht. We accept credit card or cash payments or wire transfer. The club currently has approximately 700 members and 20 aircraft. Pattern Altitude: 800' MSL with left hand circuit. This picture is taken after departing from Runway 23. (caution: high-tension electric wires run parallel to the railway tracks; use VASI when landing Runway 05). The Bang Phra airfield has a mountain on one end of the runway and high-tension wires on the other (click diagram to enlarge). The airfield is very safe once you have been checked out by one of our instructors. Bang Phra is in a beautiful location - surrounded by white beaches along the coast of the Gulf of Thailand, several international standard golf courses, a fresh water reservoir with a bird sanctuary, and several National Parks for viewing wildlife in Thailand. There are several hotels near the flying club. Life Member: 50,000 Baht initial + 2,000 Baht per year. Annual Member: 10,000 Baht per year. You have full voting rights after one year as an Annual Member. 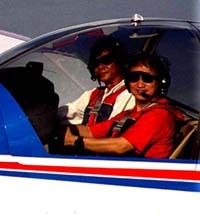 Annual Members can become Life Members on their sixth year of membership if they 1. have been an Annual Member for 5 consecutive years, 2. own a share in an aircraft, 3. are in good-standing, 4. pay the annual fee and the life per annum fee on the sixth year (thereafter Life Member fees are only 2,000 Baht per year). Please contact the Flying Club office if you have any questions. 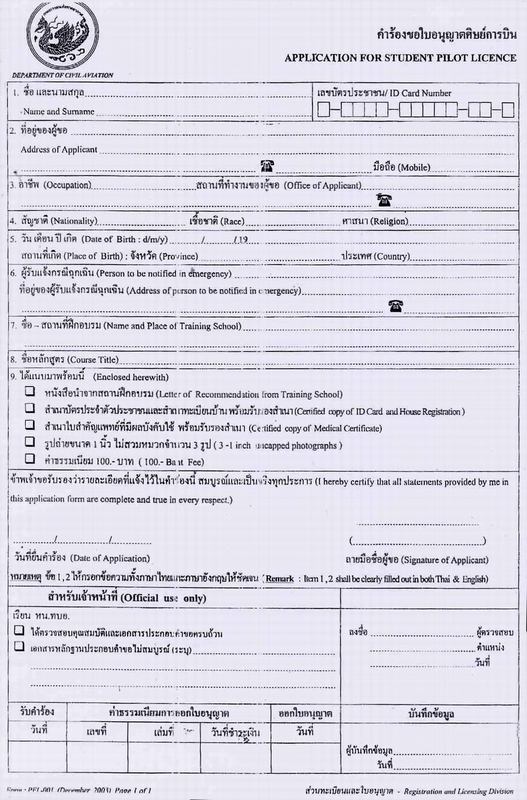 Form to join the Thai Flying Club. Bang Phra Airport is visible on the Google Map and you can find a route to get you to the airport from the Motorway or from Sukhumvit. Check out Runway 05 "VASI"
Local hotels near Thai Flying Club. 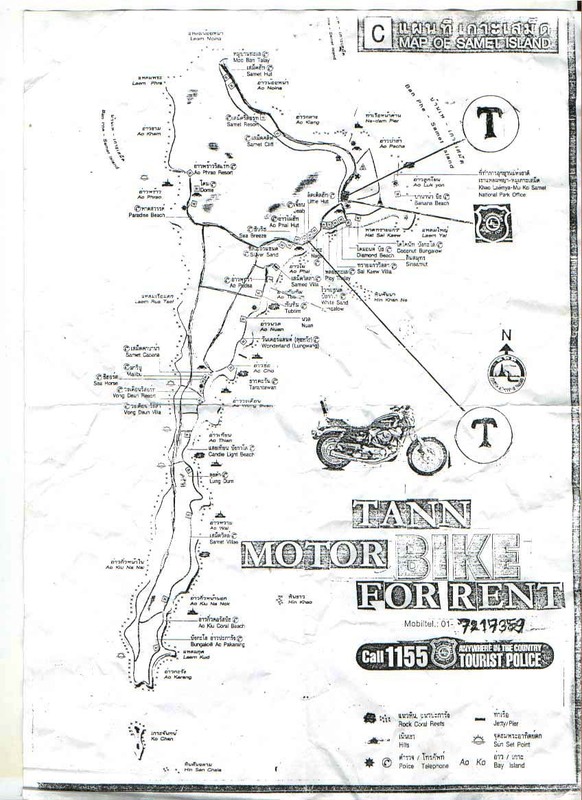 Hire a motorcycle in Bang Phra. 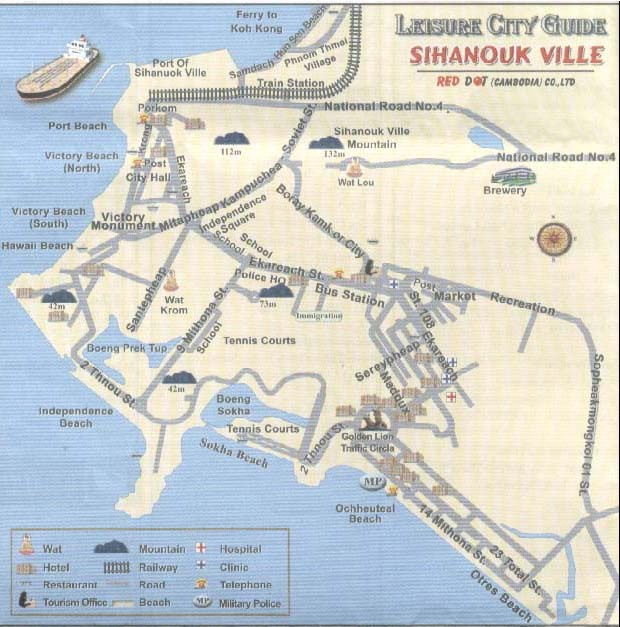 There are many local airstrips in the Chonburi area. 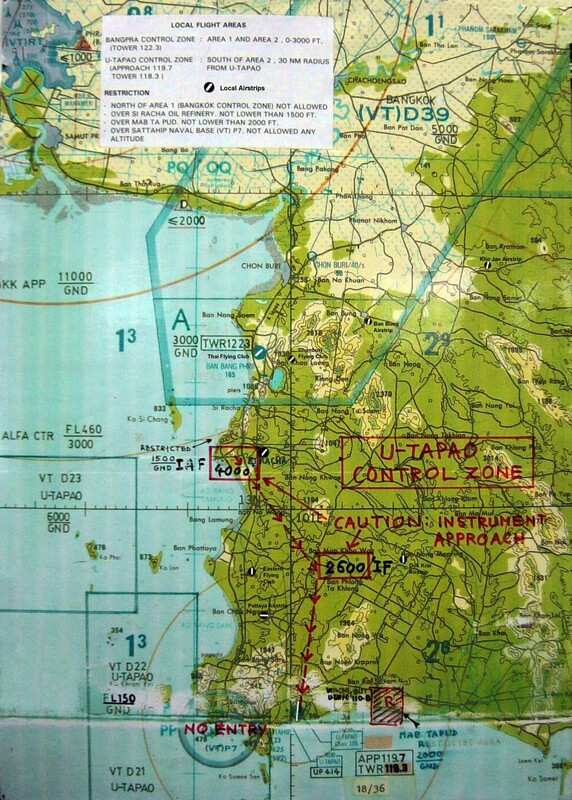 This area is under U-Tapao Approach control, so General Aviation has been allowed to actively grow. The procedure is to fly with your transponder on and maintain radio contact with U-Tapao Approach on VHF frequency 119.7. 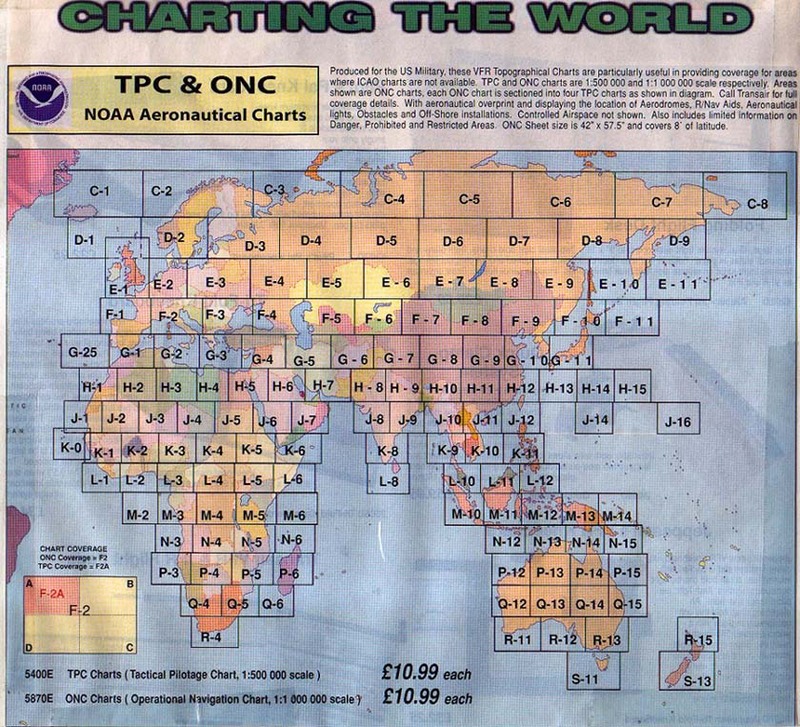 - Print a MAP of Local Airstrips (A4-size Map to use while flying locally). 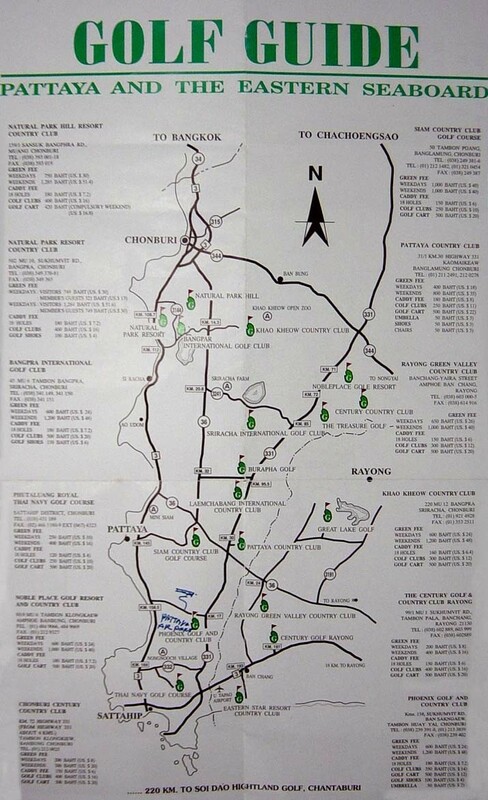 - View a LARGE detailed MAP of Local Airstrips (to study the area). The Following are "Reporting Points" around Bangkok used by Bangkok ATC for VFR aircraft. The points are in relation to BKK DVOR (117.7 frequency). The Thai Flying Club has several aircraft for hire. The approximate hourly dry charge (not including instructor) is listed after each aircraft at the top of the webpage. These aircraft are owned by the club or by club members. The availability of these aircraft depends on their maintenance schedules and the owner's requirements. To determine the current flying status and availability of these aircraft, please contact the club. There is AVGAS available at the club for approximately 67 Baht per liter. - Documents - Passport, Pilot logbook, Medical, Photos ("certified true copy" & signed). - The Club will write a letter to the DCA for validation. - Pay 2,000 Baht fee The procedure takes about 2 months for a background check. 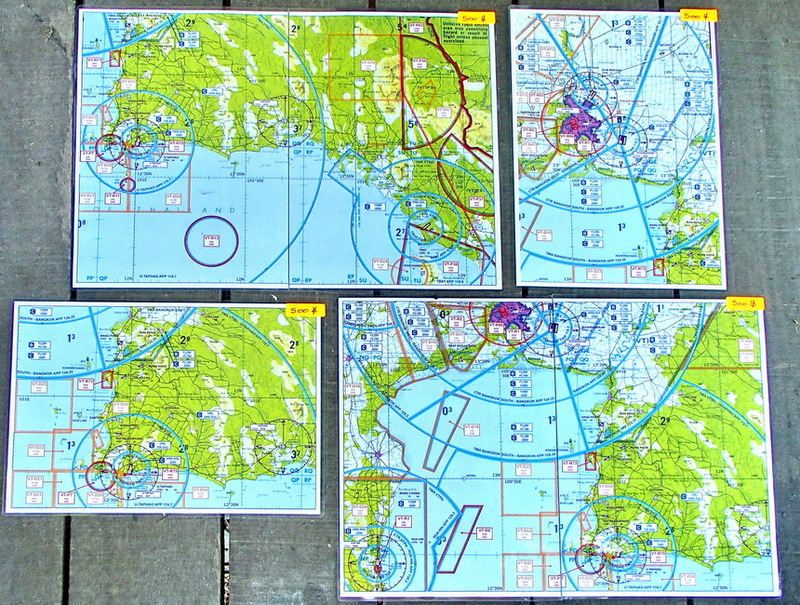 There are many airstrips to explore all over Thailand. 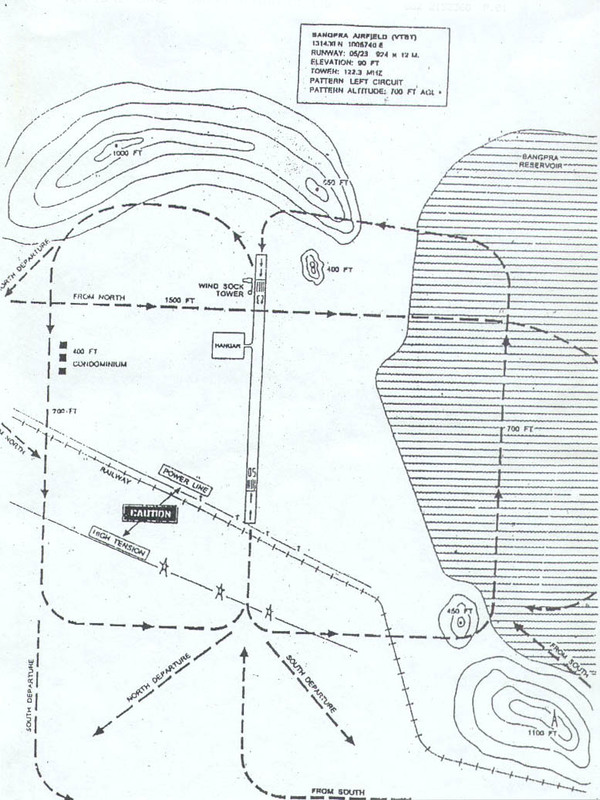 Below is a list of links to different airstrips. 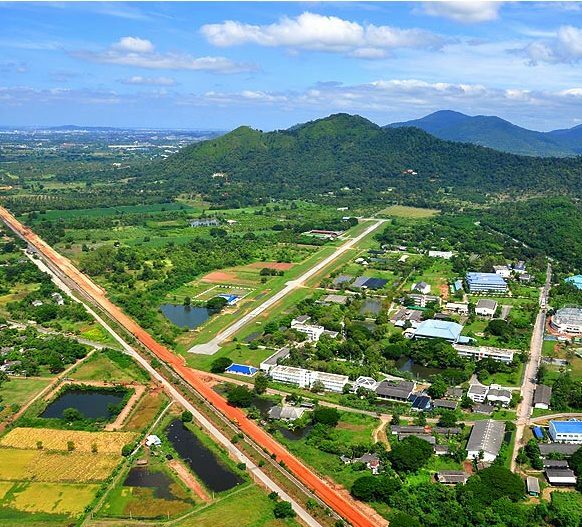 Many of these airfields are within 1.5 hour flight time from Bang Phra and are good fields for cross-country flights. Some of them are STOL (short take off & landing) strips which require special aircraft and techniques. Ratchaburi-2 (West of Bangkok) ? Always Check with DCA and refer to Thai AIP to confirm Airport Status and Details. 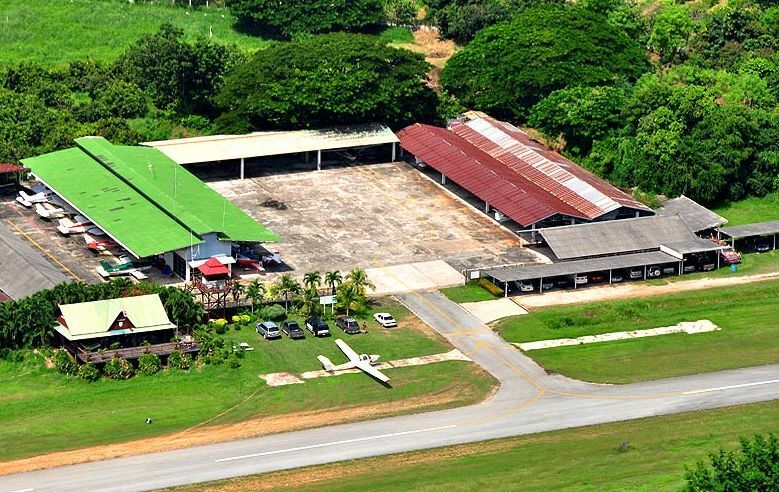 You can base your aircraft at Thai Flying Club for 5,000 Baht per month. The club now also has an Experimental Aircraft Wing (for ultralights and light experimental aircraft). These planes can be kept at the club for 3,000 Baht per month. If you have any questions, please call or Email the Club. 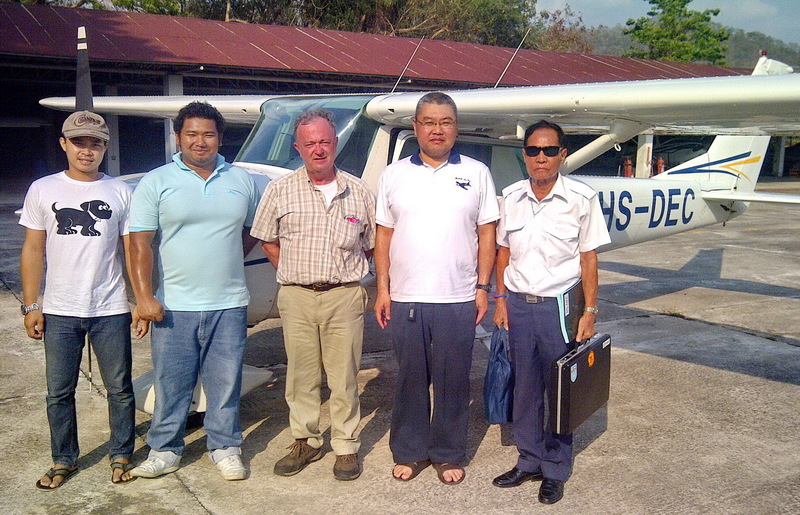 The Thai Flying Club has qualified aviation mechanics on hand at the club. 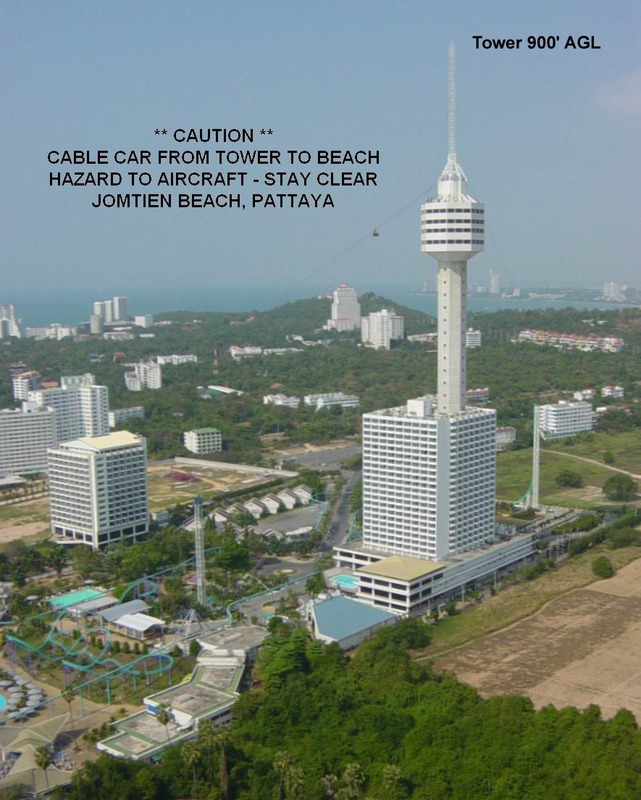 All of the maintenance activities at the club are supervised and adhere to the strict aviation safety standards of the Thai Department of Civil Aviation. Maintenance fees are approximately 600 Baht / hr. The weather in Thailand is warm, tropical and very pleasant for flying. 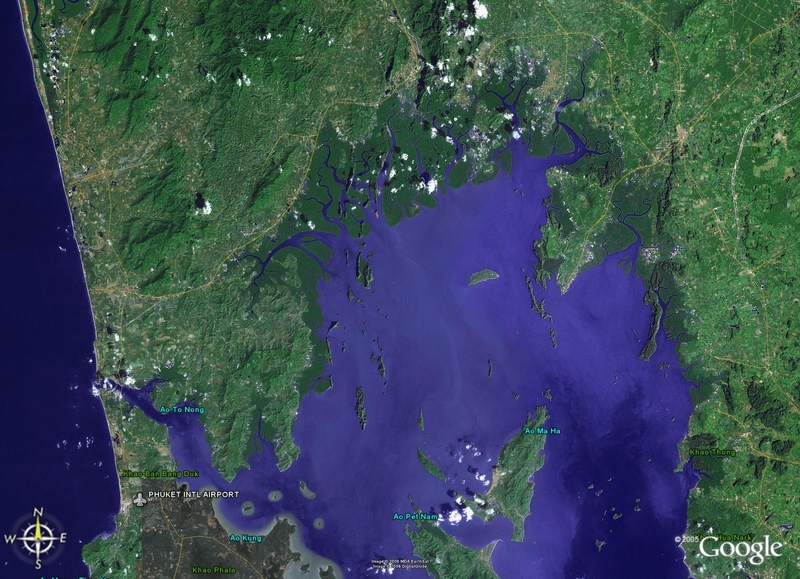 If you would like to see the current satellite image of the cloud cover in Thailand, please click the following. There are many links, because sometimes some don't work: Satellite Images of Asia Satellite Photo WEATHER.COM ICAO METAR (4-letter Airport ID) Metar in SE Asia Singapore Satellite Wx (240nm radius) Thailand RAIN RADAR (excellent update of rain activity) Current weather in Thailand (or anywhere) Short rainy season: Mid-March to Early April. It is hot and humid in April. Heavy Thunderstorms in May. Long rainy season: August through October. Rain stops in October and the wind direction changes direction to favor Runway 05 (17oct2004) (17nov2005) with warm dry wind. December is dry with a lot of smoke from fires. Cool winter nights cause fog in the valleys of Northern Thailand. 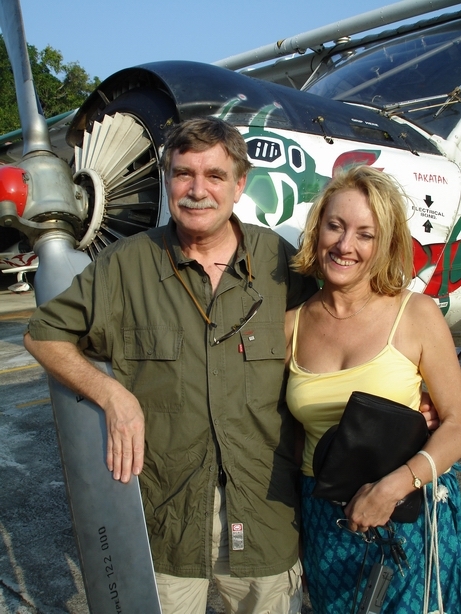 The Thai Flying Club has good relations with many flying clubs throughout the region and has conducted several joint flying excursions with some of these clubs. Restricted Flying Areas - Please Do Not Enter! Are you Left or Right-brain oriented?